Dead Sea salt has been used for centuries to promote health as well as wellness, treat skin disorders, detoxify the body and prevent illness. It differs from regular sea salt as it has a much lower sodium content, balanced by minerals that feed and nourish the skin and body. A Dead Sea salt scrub is one of many ways to receive the therapeutic and beautifying benefits of this mineral-rich substance. 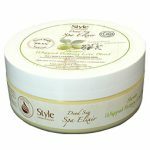 It is composed of Natural Dead Sea salt and minerals, enriched with Grape Seed, Borage oils as well as other essential oils. 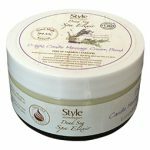 It stimulates your skin, removes dead cells and is both gentle and effective. 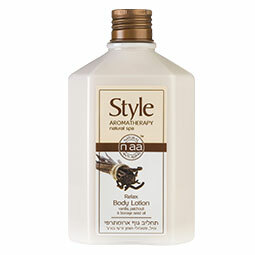 This salt and oil used for massage and body peeling leaves your skin renewed, invigorated and strong. Anti Aging – Dead Sea salt is renowned for its ability to renew the skin, reduce the appearance of wrinkles, smooth and soften, leaving skin looking younger. 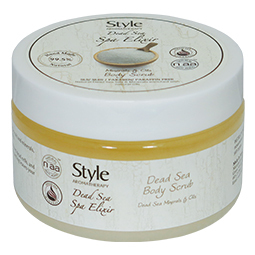 The minerals in the Dead Sea Salt help the skin retain water, keeping it moisturized. More moisture in the skin leads to a reduction in the appearance of wrinkles and the prevention of new wrinkle formation. Improved Blood Circulation – One of the main benefits of Dead Sea salt is its ability to increase blood circulation at the skin’s surface. Increased blood circulation to the skin aids in skin rejuvenation and cellular renewal. Massaging the skin in a circular motion with Dead Sea salt draws blood to the skin’s surface, encouraging the release of toxins and promoting healing and renewal. Psoriasis and Eczema Relief – The minerals in Dead Sea salt includes magnesium, bromide, zinc and sulfur which helps to heal and soothe problem skin, including skin suffering from psoriasis and eczema. Also reduce inflammation and redness. Directions: During shower, apply the mineral salts over the body in circular motion for around 3 to 5 minutes on each area. Rinse off and you will your skin free of dead skin cells, your skin feel refreshed and brightened. Use twice a month for best results.